Some bookmakers are introducing markets that aren’t quite as clear as standard bets, though that doesn’t mean that you can complain if you don’t win it! I’m looking at one such market here, with both BetVictor and Betfair giving punters the chance to bet on the Man of the Match as decided by WhoScored.com. Because WhoScored.com is an analytical website that uses statistics rather than vague feelings, like some pundits do, the bet is much fairer than you might at first realise. Bookies are constantly coming up with new, innovative ways to get us to have a wager and this is a brilliant example of one. The thing about the vast majority of other bets is that it’s clear whether they’re winners or not and why they are, if they are. If you bet on a goal being scored and a goal isn’t scored, you will lose that bet. If you have a flutter on a referee showing a red card and he doesn’t then there’s no one to complain to. It’s what I like to call ‘binary betting’, meaning that there’s no debate about it and whether you win or not isn’t due to a matter of opinion but a matter of fact. Here, I’ll explore a new bet type that seems a little less binary and how you can go about trying to win your wagers on it. This is a brand new market and one that is only being offered by Betfair and BetVictor at the time of writing. The clue of the bet is in the title, with the two companies allowing you to have a wager on the player that is considered to be the Man of the Match by the football website WhoScored.com. In the introduction I talked about the fact that this is the start of a non-binary type of bet, thanks to the fact that the awarding of the Man of the Match can sometimes feel like it’s a bit of a random affair. Anyone who has ever done the Premier League’s Fantasy Football game and seen three Bonus Points awarded to a player who’s seemingly done nothing of worth in the match whilst another one has scored and set up loads of chances will know the feeling of frustration that is linked to trying to figure out why some players win MOTM awards! 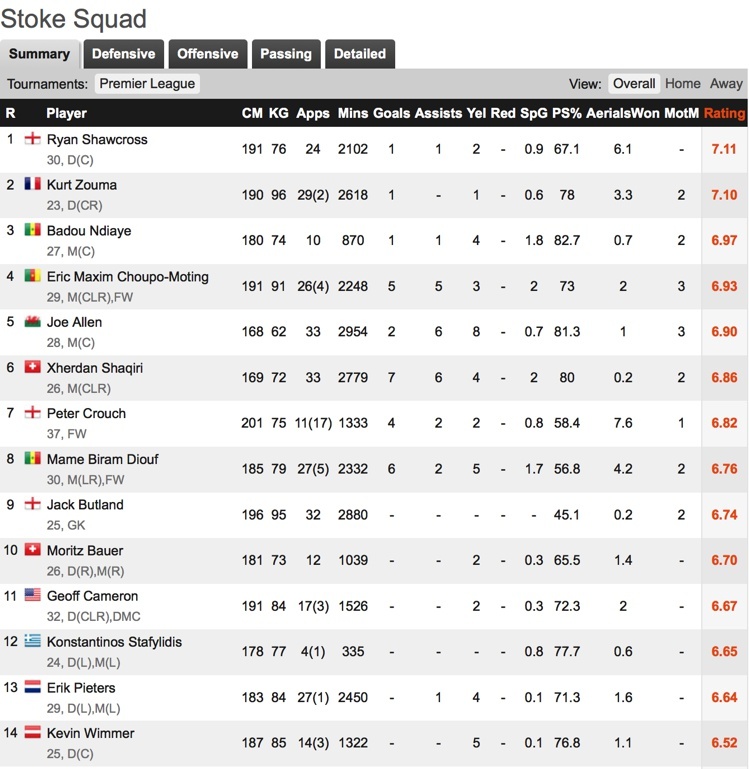 Yet WhoScored.com is actually one of the best statistical websites around when it comes to looking at football. In fact, I regularly speak about doing your research on these pages and this is one of the websites that I use most often in that regard. I should point out, therefore, that WhoScored does have specific criteria in place when it comes to the awarding of their Man of the Match award. Even if you don’t agree with their decision, there’s no argument to be had about it as both BetVictor and Betfair as very clear that the player you’ve bet on has to be awarded the Man of the Match moniker by WhoScored.com for your bet to be a winner. It doesn’t matter who Sky Sports, BT Sport, the Premier League or even you and your gang of mates thinks played the best, if it’s not WhoScored then your bet’s a loser. Now that you know what the bet entails, let’s have a look at how you can tilt things in your favour in terms of how to win it. WhoScored.com have their own algorithm that is based on statistics in order to formulate ratings for every single player live as a match is ongoing. They use more than two-hundred raw statistics when they’re formulating their ratings, with the player’s influence on the game overall forming a major part of their assessment. If they have a positive influence then that will have as much weight in the outcome as a negative one. If a player successfully completes a pass then that will be counted as a positive influence, for example, whilst a error that leads the opposition to have a shot on target will be seen as a negative influence. The beauty of WhoScored’s system is that Man of the Match is awarded according to a player’s overall performance and influence on the game. That means that it’s not necessarily awarded to the person that scores the goals every time, with a midfielder who controls the game and has a positive influence over everything his team does just as likely to win as a goalkeeper who makes four big saves and keeps a cleansheet. That said, a player who is likely to score a bagful of goals is always going to be in with a good shout of being named MOTM, given how much goals influence games. We might not be able to find out exactly what the criteria is that WhoScored use to assess players for their Man of the Match awarding, but what we can do is have a look back at which players in a specific team have been named it in the past. You can look at the number of times it’s happened at Home, Away and Overall during the season. You can even break it down according to competition, so if you want to bet on a Champions League game then you can see whether a player performs better in Europe compared to domestically. A – symbol means that the player has not been rated highly enough during that season to be given the Man of the Match award. That doesn’t mean that you can discard them altogether, but it means that you’ll have to be absolutely convinced that they’re going to put in a brilliant performance for some reason in order to pick them. You can see from the list that Mohamed Salah has been Liverpool’s Man of the Match as many times as three of Stoke’s players combined. If you wanted to be clever, therefore, then you could place a bet on Salah winning it and Butland winning it, safe in the knowledge that if the Egyptian isn’t the Man of the Match then it’s probably because Butland has been brilliant. One thing you’ll want to do before placing your bet is keep an eye out for team news. Managers tend to hold their press conferences at least a day before a match is due to kick-off and whilst some of them will keep their cards close to their chest, most will confirm if a big player is due to miss the game. Even if they don’t say as much, you can usually figure some things out for yourself if you know what’s going on with a club at the time. Looking back to the Liverpool versus Stoke game, the Reds had played Roma in the Champions League a few days before the match and were due to play them in the second-leg a few days later. Might Klopp be tempted to wrap his most important player up in cotton wool for the return leg of the competition’s semi-final? 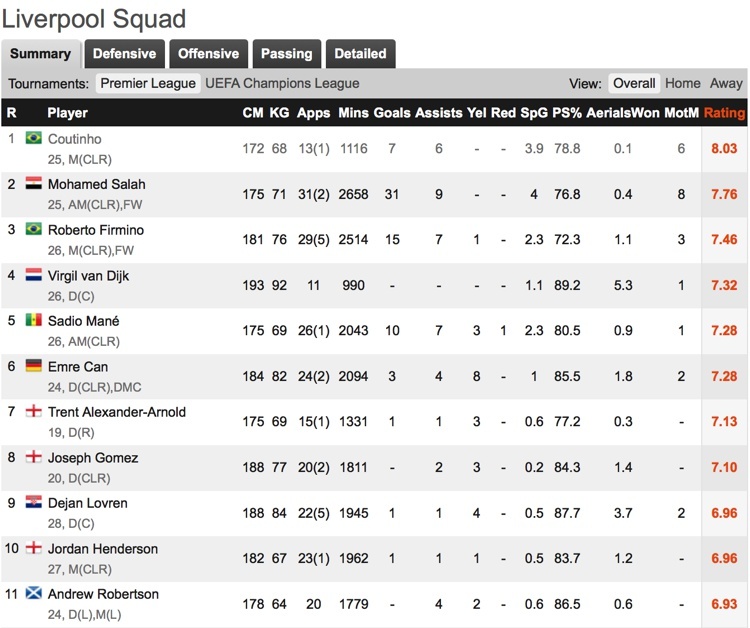 Then again, Salah had had a prolific season that year and was on course to break all sorts of goalscoring records. Might he have spoken to his manager and asked him to play in all of the remaining matches to let him have the best possible chance of doing so? Equally, could the manager be considering resting other players ahead of the semi-final’s second-leg? If so, might that give another player a chance to shine? For Stoke, meanwhile, they had won just two matches on the road before heading to Anfield. They were in the relegation zone and fighting for their survival, might one or two players put in top performances in the hope of keeping their side up? Obviously I’m talking about a game with rather specific circumstances around it, but you get the idea. Listening to what managers are saying, fans are discussing and local journalists are suggesting might happen in terms of team selection can give you a real clue about who is likely to play. Doing your research can help you to learn if a player has a specific club that he always tends to play well against or, on the other hand, always plays poorly against. That will help you decide who to bet on when it comes to WhoScored.com’s Man of the Match award. As always, resist the temptation to go for the longest odds on offer and instead look at the likelihood of a player actually being named MOTM. Man of the Match betting is nothing new, as it happens. Plenty of different betting companies have offered the ability to do so in the past, with your chosen selection requiring the broadcaster covering the event to name them as MOTM if you were going to win. Paddy Power, for example, would prioritise Sky Sports over all other broadcasters, with most bookmakers voiding bets if no Man of the Match is named during the game. Television companies tend to ask their pundits to pick the MOTM, which means it’s often down to a matter of opinion. I spoke about the problem with that before, with personal opinion often leading to head-scratching and confusion. The difference between other bookies and both Betfair and BetVictor is that the latter two only use WhoScored.com to decide which player was named Man of the Match. That means that they’re relying on statistical analysis rather than a ‘feeling’ that one former footballer, potentially with ties to a club or even a player, might have. It doesn’t make it any easier to figure out who will win it, but it will make the awarding of the title feel fairer and more valid. You’re also more likely to have an idea of whether or not your bet is going to be a winner before the match draws to its conclusion, thanks to the influence a player has on a game being fairly obvious when you’re watching it live. Which One Has Better Odds? As you can see, the odds are much of a muchness between the two bookmakers. When that’s the case you need to have a think about whether one company has a better system than another and my only comment on the matter is that BetVictor make it a lot easier to find the WhoScored.com Man of the Match betting than Betfair. The former have adverts for it around their site, whilst the latter buries it in the ‘Player’ tab of their match coverage. Ultimately, though, it comes down to personal preference. The last thing worth flagging up at this point is the fact that there are a couple of rules you need to bear in mind when you’re betting on the WhoScored.com Man of the Match market. The first is that bets on a player who then doesn’t play will be classed as Non-Runner bets and you’ll get your stake refunded to you. If they’re on the bench and get brought on with one minute to go then, unfortunately, that’s just tough luck and the bet will stand. If, on the other hand, your chosen player remains an unused sub or, even better, isn’t even part of the match day squad then you’ll get your bet voided. The other thing that might apply is Dead Heat Rules. Should more than player be awarded WhoScored’s MOTM title, which isn’t out of the realms of the possible when you consider that the company weighs up each player’s contribution individually and doesn’t take into account the need to select just one player to be the best, then Dead Heat Rules will apply to your wager if one of the players is the one you bet on. That means that your stake will be divided by however many players are splitting the award and then multiplied by the odds. I’ve written about Dead Heat Rules in more detail elsewhere on the site, so I won’t go into details here.